The Tuesday of Shrovetide is a particularly big party day known as “Mardi Gras” (French for “Fat Tuesday”) — or “Pancake Tuesday” because fats, eggs, and butter in the house had to be used up before Lent began, and making pancakes or waffles was a good way to do it. In many places, especially in England, pancake races became popular and remain popular today. In these races, women must run while flipping a pancake so many times, and whoever crosses the finish line first wins. The largest pancake race in England is in Olney, in Buckinghamshire. There, the women must wear a dress, apron, and bonnet, and flip the pancake three times — while ensuring it is intact after they cross the finish line, of course. The story told to explain the origins of this race is that in 1445, a homemaker heard the shriving bell (the bell rung to summon people to confession on this day) as she was busy working in her kitchen. Not wanting to be late, she rushed about and ran off with her skillet still in hand. Amy’s Welborn Dubruiel reminds us, from the depth of her own sorrow, that grief for the Christian releases a flood of gratitude. Beautiful words. Thank you, Amy and Michael. It’s amusing, but sad, to watch the same people for whom Vatican-II is a superdogma trying to weasel their way out of obedience to prior magisterial teaching. Ultimately nothing is settled for these folks except the doctrine of what’s happening now. What used to be called simple fidelity is now “magisterium fundamentalism”. I like the sound of that. The Rev. 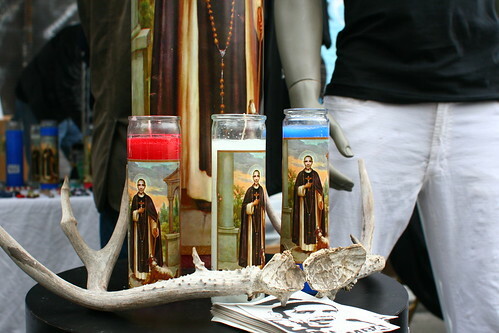 Tony La Torre of St. Philip the Apostle Church, in ever-hip Noe Valley, is so riled up that he’s calling for a boycott of the neighborhood’s Just For Fun card and novelty shop, which has been selling the $15 candles at a fast clip. Here beginneth the Life of Saint Valentine, and first the interpretation of his name. Valentine is as much to say as containing valour that is perseverant in great holiness. Valentine is said also as a valiant knight, for he was a right noble knight of God, and the knight is said valiant that fleeth not, and smiteth and defendeth valiantly and overcometh much puissantly. And so Saint Valentine withdrew him not from his martyrdom in fleeing, he smote in destroying the idols, he defended the faith, he overcame in suffering. Of Saint Valentine the martyr. Saint Valentine, friend of our Lord and priest of great authority, was at Rome. It happed that Claudius the emperor made him to come tofore him and said to him in demanding: What thing is that which I have heard of thee, Valentine? Why wilt thou not abide in our amity, and worship the idols and renounce the vain opinion of thy creance? Saint Valentine answered him: If thou hadst very knowledge of the grace of Jesu Christ thou shouldest not say this that thou sayest, but shouldest reny the idols and worship very God. Then said to Saint Valentine a prince which was of the council of the emperor: What wilt thou say of our gods and of their holy life? And Saint Valentine answered: I say none other thing of them but that they were men mortal and mechant and full of all ordure and evil. Then said Claudius the emperor: If Jesu Christ be God verily, wherefore sayst thou not the truth? And Saint Valentine said: Certainly Jesu Christ is only very God, and if thou believe in him, verily thy soul shall be saved, thy realm shall multiply, and he shall give to thee alway victory of thine enemies. Then Claudius turned him unto all them that were there, and said to them: Lords, Romans, hear ye how wisely and reasonably this man speaketh? Anon the provost of the city said: The emperor is deceived and betrayed, how may we leave that which we have holden and been accustomed to hold sith our infancy? With these words the emperor turned and changed his courage, and Saint Valentine was delivered in the keeping of the provost. When Saint Valentine was brought in an house in prison, then he prayed to God, saying: Lord Jesu Christ very God, which art very light, enlumine this house in such wise that they that dwell therein may know thee to be very God. And the provost said: I marvel me that thou sayest that thy God is very light, and nevertheless, if he may make my daughter to hear and see, which long time hath been blind, I shall do all that thou commandest me, and shall believe in thy God. Saint Valentine anon put him in prayers, and by his prayers the daughter of the provost received again her sight, and anon all they of the the house were converted. After, the emperor did do smite off the head of Saint Valentine, the year of our Lord two hundred and eighty. Then let us pray to Saint Valentine that he get us pardon of our sins. Amen. 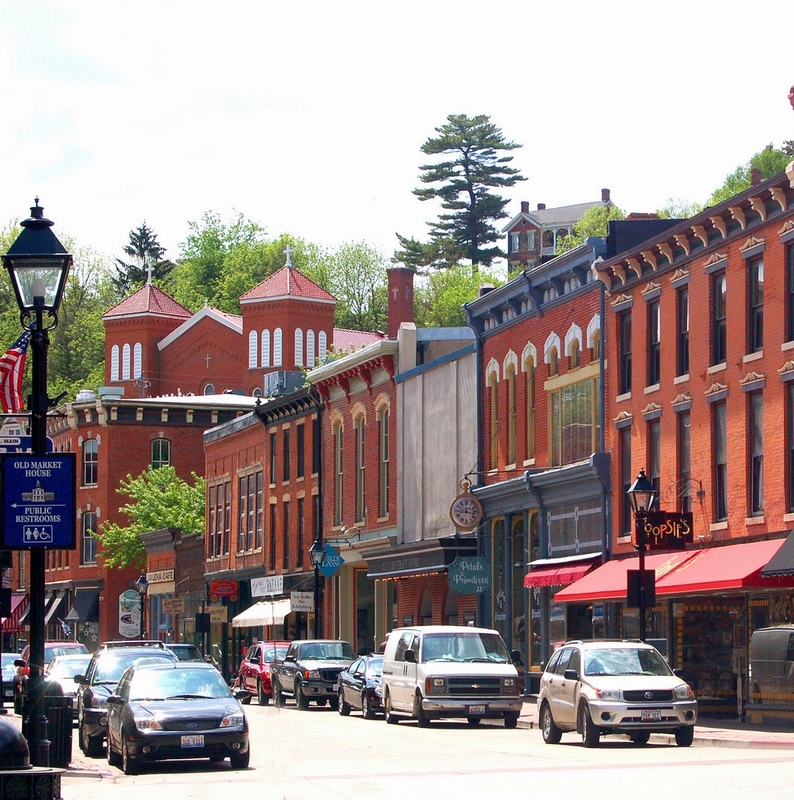 After several weeks of unseasonably warm temperatures, it finally feels like winter again. It’s cold. We’ve had a few more freezes, and we are in the middle of our first decent storm this winter. The woodstove is burning for six to ten hours per day, sometimes longer. I am just now beginning to realize how important fire is to life in the country, and how totally insignificant it is to city life. 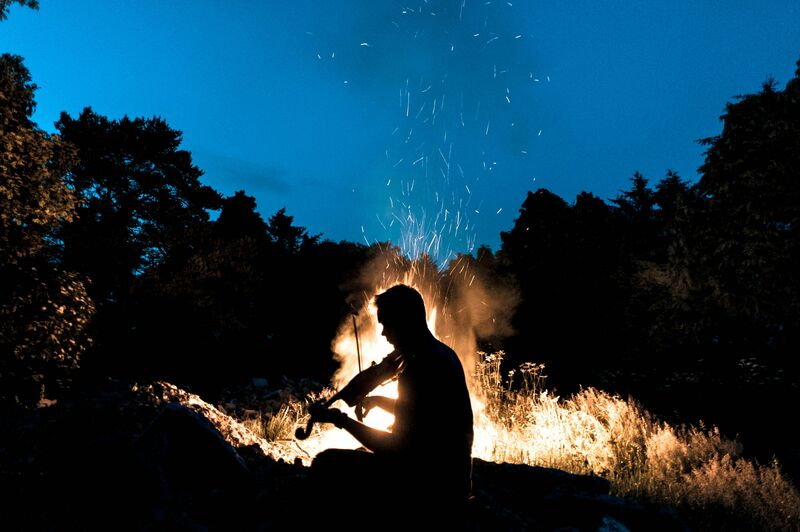 There’s nothing quite like a spontaneous outdoor party gathered around a bonfire at night. When you’re standing or sitting around a fire, the pressure of being charming and sociable is off. You and your friends can be rather than do. Being together around a fire leads quite naturally to a sense of belonging, even if nothing at all is said. As it happens, being is the prerequisite of doing, and so fireside conversations tend to follow very naturally, keeping the horse in front of the cart. Fires need attention – less attention, usually, than we think – and therefore provide a ritual pretext for being together with others. We have firewood stacked behind the garage, on the side of the garage, on the back porch, on the front porch, and inside by the stove. We fret over keeping it dry and covered with a plastic tarp. We fret over keeping it neat. Mostly, we fret over keeping it handy so that we don’t need to fetch wood outside on a cold and stormy night. I try to have two full cords of firewood going into the winter. So far, we haven’t needed any more than that. It saves us about $1,000 in heating bills. I like to think that building a fire in a woodstove is an art, or maybe a science, either way. The type, size, age, and placement of the wood must all be considered. Creating proper airflow, and maximizing airflow in the right places, can be quite a challenge depending on your choice of kindling. We typically use newspapers, though recently we have made good use of old cardboard boxes. But whatever one uses, building a fire takes time – from 10 to 30 minutes usually. Once the fire is going, the vents need adjusting, the wood needs stoking, and the mess I made while building the fire needs cleaning. The ashes, too, need to be cleaned out daily. Wood ashes are a good source of potassium, so we just throw them in the garden as fertilizer. Before retiring for bed at night, I put another log or two on the fire and shut the vents, so that only a tiny drift keeps the fire burning very slowly. The idea is to have some hot embers left in the morning so that we don’t need to build a new fire. Christopher, age 10, is often the first one up in the morning, and he stirs the coals and gets the morning fire going. When I was a boy I used to chop wood in the morning. No kidding. The wood from our almond trees was too fat for the stove, so it had to be split. I chopped a lot of wood, but I’m glad I don’t have to do that anymore. It’s very hard on one’s back, and my back isn’t in good shape these days. 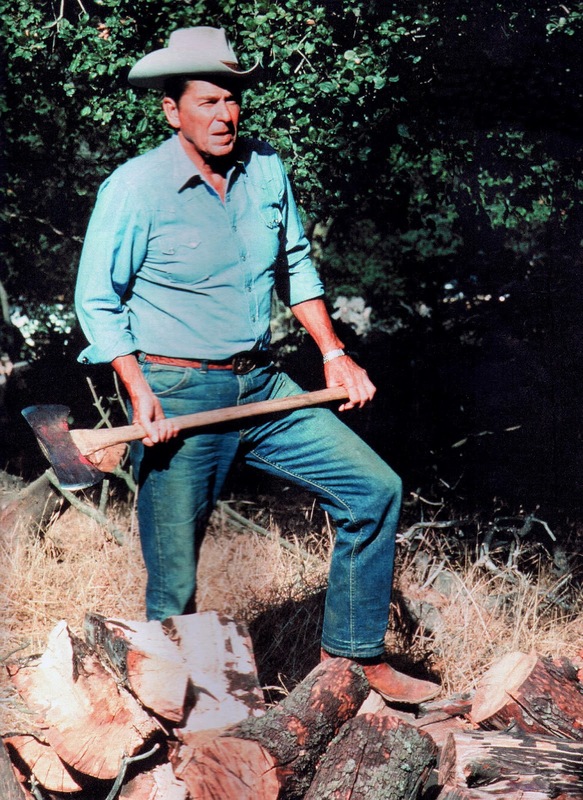 President Reagan chopping wood at his California ranch. A few weeks ago I had to burn a large pile of brush out by the garden. I waited for a not-so-windy day, which is not-so-common here on the west side. Fortunately we were far enough away from trees to avoid setting them aflame. The boys helped me out with their shovels and a garden hose. For the boys, this was very impressive. I lit the fire with the help of some charcoal lighter fluid, and it took off rapidly. There is something very primal – even mystical – about fire. Almighty God appeared to Moses as a burning bush. The Easter fire is symbolic of Jesus Christ, the Light of the World. Tongues of fire rested upon the apostles at the descent of the Holy Ghost on the first Pentecost. The image of fire as spiritual cleansing is essential to the doctrine of Purgatory. And of course, the fires of Hell serve as a warning to the unrepentant and an effective reminder to all sinners. As the flames danced and the intense heat pressed upon us, we just stared in silence. When the fire was discernibly under control, I sent the boys inside to finish their schoolwork. Jonathan started back towards the house and had only one thing to say: “I like fire”. Many of the faithful are aware of the opposition which the Holy Father has faced in his efforts to reconcile the Society of Pius X. The current pressure from the media and others seems to not only threaten Pope Benedict’s work with SSPX. It also seems as though some would like to see it work as a means to undermine his very teaching and governing authority for his pontificate. Given these oppositions which the Holy Father faces; given the Priestly Fraternity of St. Peter’s particular role in working as a bridge for those who have grown apart from the Church in the last forty years; finally, given that we hold St. Peter as our patron and have a particular attachment to his successor, the Fraterniy of St. Peter has asked all of its the members to offer increased prayers at this time for strength for Pope Benedict XVI. A good number of priests and seminarians have contacted the General House to ask if the Fraternity could have particular prayers offered for this intention. All the members of the Fraternity are being asked to offer the following novena beginning on February 14 and concluding on the feast of the Chair of St. Peter. All the faithful in the Apostolates are encouraged to join in these prayers and that the Masses on that Sunday (Quinquagesima) would be offered for this intention as well. Pater Noster, 3 Ave Maria, Gloria Patri Our Father, 3 Hail Marys, Glory be. V. Orémus pro Pontífice nostro Benedícto. R. Dóminus consérvet eum, et vivíficet eum, et beátum fáciat eum in terra, et non tradat eum in ánimam inimicórum eius. 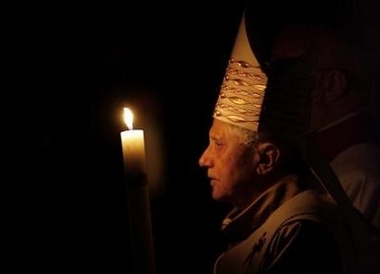 V: Let us pray for our Pope Benedict. R: May the Lord preserve him, and give him life, and make him blessed upon the earth, and deliver him not up to the will of his enemies. R. And upon this Rock, I will build My Church. Almighty and everlasting God, have mercy upon your servant, Benedict, our Sovereign Pontiff, and guide him in your goodness on the way of eternal salvation; so that, with the prompting of your grace, he may desire what pleases you and accomplish it with all his strength. Through Christ Our Lord. R. Amen. Mater Ecclésiæ, ora pro nobis.